Join Scenic on the dynamic waterways of South East Asia, and navigate a land of color, vibrancy and culture in complete luxury and comfort. The great rivers of the Mekong and the Irrawaddy criss-cross a region of remarkable energy and beauty, where Indian and Chinese influences intermingle to create an intoxicating cultural tapestry. The waters of South East Asia are yours to discover with Scenic as your expert guide. They combined the experience in river cruising and touring to offer a collection of luxury itineraries on the Irrawaddy and Mekong, helping you to experience the culture and heritage of Myanmar and Indochina. As always, your all-inclusive luxury Scenic river cruise includes everything you need, from cuisine to excursions to a private butler... and exclusive perks just for booking through a Cadence travel specialist: $100 per person to spend onboard! Get inspired by this luxury Asia river cruise itinerary below and contact us for more information! Begin your Mekong River adventure in Ho Chi Minh City. You'll enjoy complimentary lunch (the first of your all-inclusive dining experience!) before traveling by coach to My Tho to board the luxurious Scenic Spirit. Toast the start of your cruise with a cocktail reception and welcome dinner. 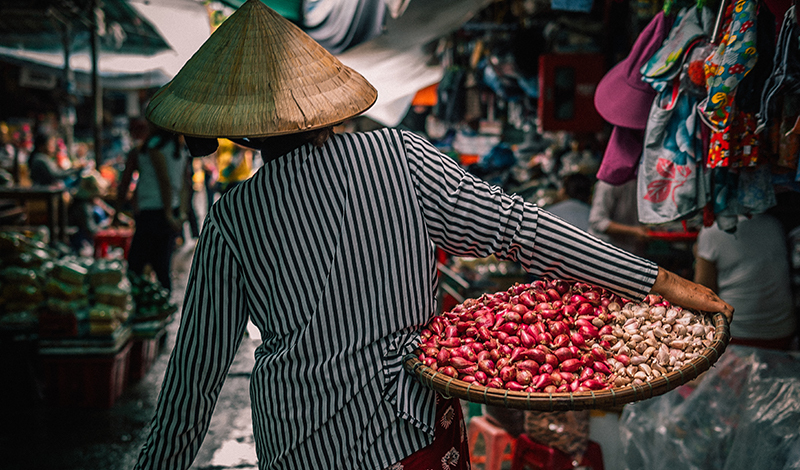 Board a sampan to visit the famous Cai Be floating market before stopping at local cottage industries and French colonial or traditional Vietnamese houses. Alternatively, relish a later start before savouring morning tea at the French colonial Le Longanier House featuring local musicians and cultural demonstrations. You're also welcome to remain onboard for your special Freechoice activity. Later, you'll immerse yourself in the historic town of Sa Dec. From your sampan disembark, explore and interact with the sellers in the lively market and visit the home of Mr Huynh Thuy Le who inspired Marguerite Duras’ novel L’Amant. Spend the remainder of the afternoon cruising to Tan Chau. Stay in Tan Chau to visit Evergreen Island and enjoy a ride in a Xe Loi to the local Cao Dai Temple. Another option is to cruise by speedboat to Chau Doc to visit a family-operated fish farm before walking through a Cham village. Lastly, you could choose to visit Tra Su Bird Sanctuary. Tonight is your themed evening dinner to say farewell to Vietnam! Arrive in style by tuk tuk and immerse yourself in the historically celebrated luxury of Raffles, Hotel Le Royal. Enjoy a guided history tour followed by an indulgent high tea prepared in front of you by the hotel’s chefs, all whilst sipping on your signature cocktail named in honor of Jacqueline Kennedy. Retire to the Elephant Bar before returning to the ship. Journey to the Killing Fields and tour Tuol Sleng, the former school that was converted to the main prison of the Khmer Rouge, or take a guided tour of the local food market before joining a hands on Khmer cooking demonstration. Alternatively, hope on a Tuk Tuk to explore Phnom Penh’s colonial buildings, Central Market, and modern architecture before stopping for lunch at a local NGO restaurant. This unique experience helps teach street children useful hospitality skills. Later this afternoon, visit the National Museum and the Royal Palace with the famous Silver Pagoda within. Drive a short distance to Prek K’dam to re-board Scenic Spirit. Later, you'll sail downstream to wander through the silversmith village of Kho Chen before continuing your cruise to Kampong Cham. Awake as you approach Wat Hanchey, an ancient hilltop pagoda and monastery to meet the resident novice monks. Walk to the top and soak in some of the best elevated views of the whole journey before sailing downstream to Kampong Cham. Learn about the history of the area with a visit to Phnom Pros (Man Hill) and then Wat Nokor, an 11th century temple that has a modern pagoda built within. Alternatively, explore the ecotourism village of Cheung Kok or spend your time wandering through the township of Kampong Cham. After your last Mekong moments bring you to shore, you'll drive to Siem Reap with stops at a stone cutters village and walk across the ancient Khmer bridge at Kampong Kdei. Upon arrival in Siem Reap, enjoy lunch before being transferred to the airport or the Park Hyatt where your arrangements end. Lowest price: $3,145 per person, departing March 27, 2018. Let us do the work: ask us about additional itineraries and availability! Inspiration alert: Scenic's 2018 Europe river cruise brochure is here!